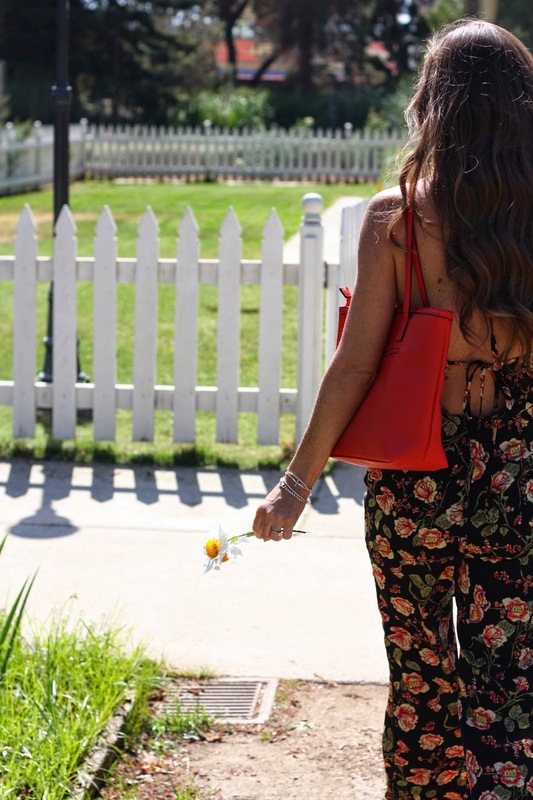 This jumpsuit is perfect for the not so hot days. Although, it is light weight enough to wear even if it IS really hot. The halter neck and tie back, give it a edgy twist. I think the only thing missing is pockets! (I think it needs pockets. )The down side to jumpsuits are the fact that you have to completely undress when you need to use the bathroom. NOT fun when going in a public restroom. If you're anything like me, I am super paranoid in public restrooms. Who knows WHAT is on those surfaces?! Other than that not-so-awesome fact, I love wearing jumpsuits and rompers. It's just so easy to throw one on and be done with it. Today is Wednesday, half way through the week, and only a few more days for Ryon in first grade. Time just flys by.